Rifles hold many advantages over other types of firearms. They are accurate, easy to use, capable of long-range shooting, and can be very powerful. Some people spend a lifetime mastering their use. Other people have yet to begin their rifle shooting journey. With the NRA Certified Rifle Instructor course, GTBR will help you become an effective and knowledgeable instructor, capable of teaching students how to handle all types of rifles with skill and safety. In order to undertake the NRA Certified Rifle Instructor Training Course at GTBR, you need to know the basics of firearm safety and have a measure of proficiency in shooting skills. There are pre-course assessment exercises (see link at the bottom of this page) to ensure you have a suitable background in firearms. If you have not had a NRA Basic Instructor Training course in the last 2 years, that will be required as well. You also need to take and pass the student NRA Basics of Rifle Shooting Course. The course is split into two sections, the NRA Basic Instructor Training (if needed) and the NRA Basics of Rifle Shooting Instructor Course. 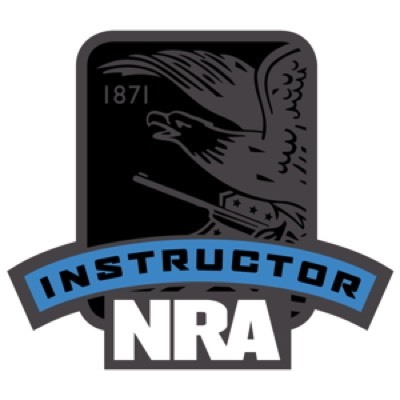 When you take the NRA Basic Instructor Training, you will be an Instructor Candidate. This section involves no range time. You will learn the skills necessary to not only teach in a classroom but also how to manage one. You will learn how to work with other trainers as a team as well as how to use training aids. Some paperwork is involved, such as student packets and lesson plans. The NRA Basics of Rifle Shooting Instructor Course is more hands-on and involves live-fire range time. Before that is classroom instruction with dummy ammunition where you will learn proper operation, maintenance, storage, and shooting fundamentals for bolt-action, lever-action, slide-action, and semi-automatic rifles. You will also learn how to appropriately select ammunition for rifles and even practice clearing stoppages. Marksmanship and range safety are also covered. Completing the NRA Certified Rifle Instructor course will equip you with the skills necessary to teach students how to safely use a rifle. It also includes training material on how to teach as well as how to organize a course of your own. Rifles are capable of accurately hitting targets at extreme ranges when skillfully used. When improperly used, they can be extremely dangerous. As an NRA Certified Rifle Instructor, you will be in a position to teach students how to use rifles properly and safely. The opportunities for firearm instructors are ever expanding, and NRA certification is the standard. The skills you will be able to teach after finishing this course will keep families safe and keep bullets on-target. If you want to teach other disciplines, such as NRA Pistol, Personal Protection Inside or Outside the Home, or others, you will need to take those specific courses. Having completed this course you will not need to take the NRA Basic Instructor Training course again, as long as less than two years have passed.